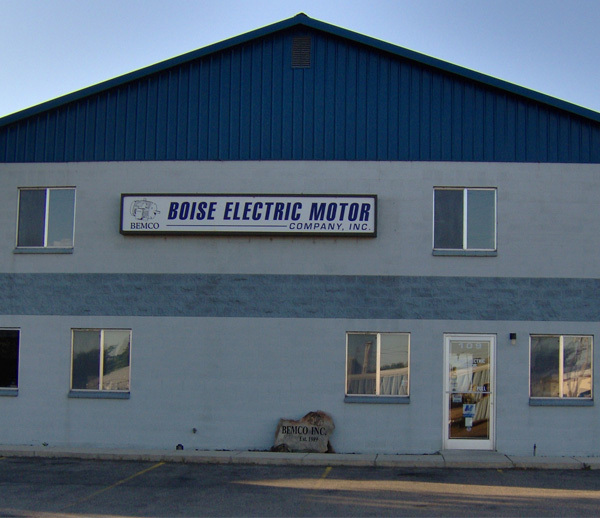 At Boise electric motor company, we specialize in the repair, service and sales of electric motors and pumps. We can handle repairs from small motors to several hundred horse power. We also stock a large selection of motors for replacement or new installations. We have been in business for over 25 years and with our 113 years of combined employee experience and expertise with jobs of all sizes, we would like to add you as another satisfied customer using the BEMCO way. Why buy a new motor when we can repair yours? However, if a motor is not feasible to repair, chances are we have a replacement available. Boise Electric Motor Company takes pride in offering quality services customized to our customer’s needs. We are a proud memeber of EASA, the Electrical Apparatus Service Association. Doing business with an EASA member assures that your equipment will be repaired to EASA’s exacting standards, using the latest equipment and techniques. EASA members are unquestionably the most technically advanced and qualified sources for all your electrical equipment needs, including repairs, rewinds, redesigns, and new equipment.